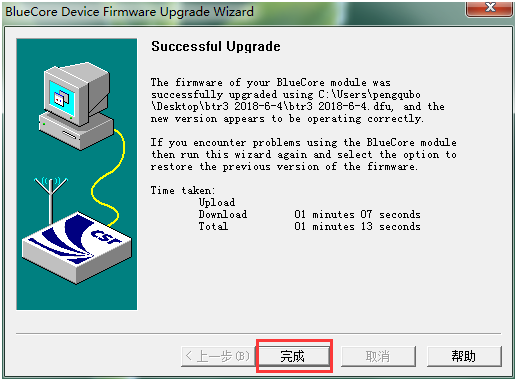 The latest firmware for the BTR3 is v1.0 (v1030) at present.There is no need to upgrade your BTR3 again, if it is already latest firmware. 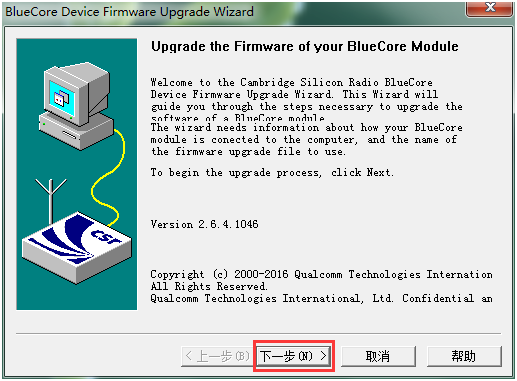 It will be displayed as version 1.0 on latest version FiiO Music app after upgrading the BTR3 to firmware v1.0. Note: please download and install the latest version FiiO Music app v1.0.7 on your smart phone firstly, and pair the BTR3 with the phone via Bluetooth, and go to FiiO Music app Settings -> FiiO BT control, if you want to know the version on your BTR3. 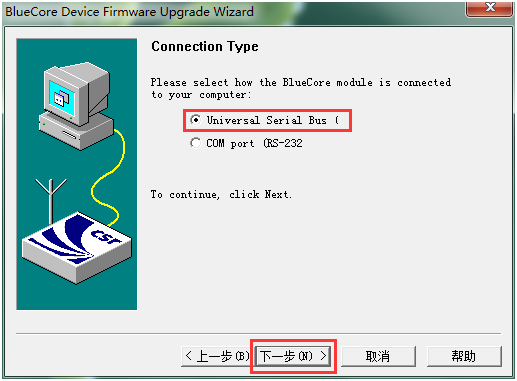 To check if the BTR3 is successfully connected, go to Device Manager and see if there is a "CSR BlueCore in DFU mode" displayed under the "Universal Serial Bus controller" category. 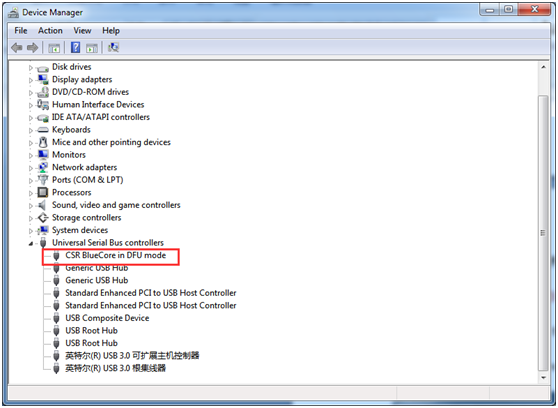 If there is, it means the BTR3 is connected with the computer successfully. 2. 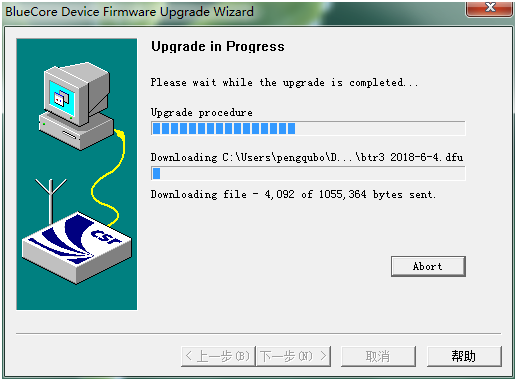 Select option marked in below image then click "Next"
3. 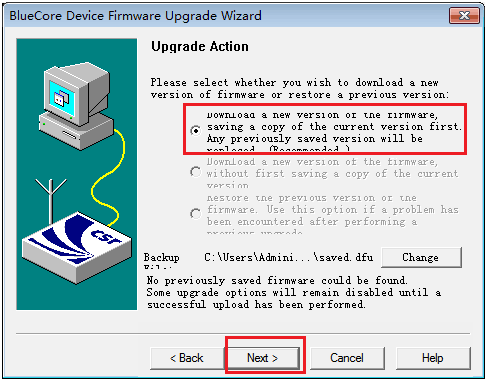 Select option marked in below image then click "Next"
After selecting the firmware file, click "Next" to continue. 6. 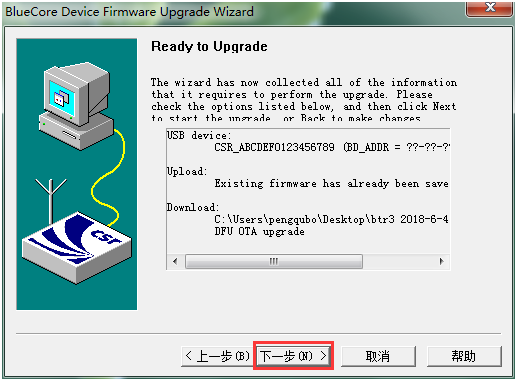 If the below menu appears, it means the upgrade is complete, click "Finish"(完成) to close the application. After that, please disconnect the BTR3 from the computer and restart it before use. ꁹＮext： 2. 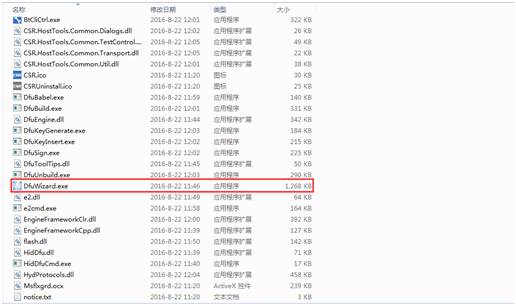 Can the BTR3 work as a DAC for the computer, and how?